Films about other films are always strangely fascinating, but it is very possible, likely even, that few can garner the interest that The Disaster Artist has. It’s not really a secret anymore that The Room is one of the “best” worst movies ever made, but the mysterious and crazy production is not without a few surprises. The process of which, luckily for audiences everywhere, James Franco and friends look to cover in perhaps the most ironic Oscar contender in recent memory. The real-life story of writer/director Tommy Wiseau (James Franco), the man behind what is often referred to as "The Citizen Kane of Bad Movies," The Room, is brought to life, chronicling the odd film's troubled development and eventual cult success. Oddly enough, The Disaster Artist is not as thoroughly odd as one would expect. With Franco and crew behind it all, it is genuinely surprising as how well the film portrays the remorse and heart that the story needs to be this successful. A lot of that credit has to fall to the writers, Scott Neustadter and Michael H. Weber, for adapting this screenplay into something worthwhile and really captivating. Don’t dismay, however, as there is plenty of absurdity to go around as well that only gets funnier if you know all the background from the actual film The Room. Imitations are certainly not an easy task. Sure, the occasional impersonation can get a few chuckles but to completely ingrain a person’s personality and mannerisms into your entire performance is something else entirely. And what James Franco does here as Wiseau is unbelievably fantastic. His demeanor is impeccable, his accent a near perfect match, and his whole tone makes the good material even better. Franco is the star here and overshadows every other actor in the film. Not that they’re bad by any means, but when Franco is stealing every scene, it’s hard to stand out. The balance of tones that Franco manages to portray from the director’s chair is fairly good as well. It manages to be the funny, laugh out loud comedy but never strays far from the dreamer at its core. And that’s ultimately how Tommy Wiseau is portrayed, as a dreamer, someone who yearns to be creative, even if the world is telling him no and he clearly isn’t the most talented. The film has that great bit of heart that makes it something special, something more than the comedies that Franco and crew are known for. Overall, The Disaster Artist is a treat for everyone, but especially fans of the original film. Franco delivers a top-notch, award worthy performance and the rest of the cast certainly fills in nicely behind him. The story actually has more depth than you’d expect and the themes of dreams and creativity are present throughout. 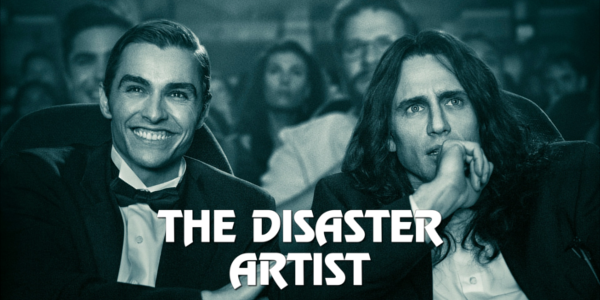 The irony of The Disaster Artist, a film about a film that’s considered one of the worst ever made, competing for award nominations feels like the ultimate punchline for this fantastic film. 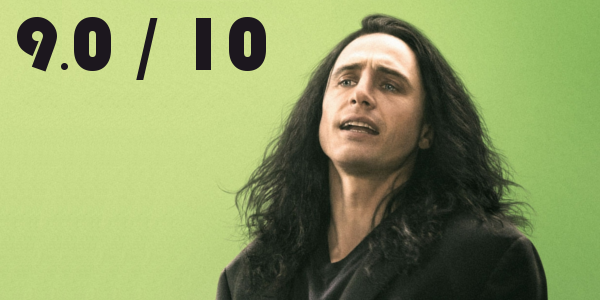 So what did you think of The Disaster Artist? Have you seen it? Are you interested in seeing it? Share, subscribe, comment below, and as always return to I Am Sam for weekly reviews and insight.